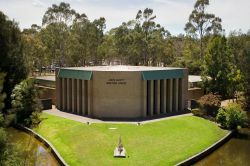 La Trobe University is investing strongly in enhancing the University's research community, environment and culture, to continue building our reputation as an institution that provides superior support for our researchers. La Trobe aims to ensure our graduate research candidates receive high quality supervision and have access to a rich, well-rounded research education experience. The GRS also acts as an administrative hub for matters relating to candidature—including admissions, extensions, leave and examinations—and supports the work of supervisors and graduate research coordinators. Many of our graduate research candidates develop into future research leaders. With the recent establishment of our Graduate Research School, and an increased focus on research education, development and support, we are continuing to build a vibrant research culture that attracts and retains exceptional staff and students. Find out more about the Graduate Research School. Contained within the Graduate Research School, the Research Education and Development (RED) team provides researcher development expertise and manages university programs that foster an active and collegial research environment. The RED team offers a wide range of support for all researchers, especially graduate research candidates and early career researchers. This support includes a dynamic and responsive suite of streamed workshops, internal consultancy for university units, and coordinating researcher development initiatives with external professionals. La Trobe also has a dedicated Research Office, which is there to support all researchers from early career onwards with applications, ethics, grants, contracts, commercialisation, partnerships and publishing. The Research Office provides information and support for every stage of the research process, from starting your research to promoting and publishing your results.